Our old traditions are part and parcel of daily life in Bern. For the Brienz woodcarvers, for example, these traditions contribute to their livelihood, whereas the yodellers and Swiss wrestlers maintain them in their leisure time. These skills have been handed down over the generations and they are showcased at the traditional festivals. Long before each farmer carried a cell phone around with him, the shepherds and herdsmen communicated over long distances by shouting and yelling. These original sounds later evolved into yodelling, that meditative and wordless form of singing that even stirs the hearts of the most jaded Rock'n'Roll fan. Each year, Bern hosts numerous yodelling festivals that not only make for acoustic delights but also provide the opportunity for you to view the beautifully crafted costumes. If you would like to try yodelling for yourself, do make a point of taking the introductory lesson being offered by yodeller Barbara Gertsch-Enz on Saturday August, 20th. Although it takes some basic knowledge to understand this game where the nouss disc is shot off the ramp and into the (trapezoidal) playing field, once you understand the rules you will agree that watching the game is even more exciting than reading an Agatha Christie thriller. The batting team has to hit the nouss (a kind of disk or puck) as far as possible into the opponent's area. The defending team has to stop the approaching nouss as soon as possible by using a shingle or catch board. If you would like to learn more about this game you can either watch the outstanding film "Schlagen und Abtun" (strike and bring down) by Norbert Wiedmer or head for Lenk and watch the Hornussen tournament on 22 October. This will be held in conjunction with the Alpine Culture Days and will be followed by a party. The spectators really do enjoy watching how these bulky males wearing their short Zwilchhosen trousers "lift" each other up so that the losers’ shoulder blades touch the ground. No one knows when and where this typical Swiss wrestling variant took place for the first time. It seems that the sport has always been a part of Swiss life – at least that is what the 13th century depictions of Schwingen wrestling in the cathedral of Lausanne would suggest. 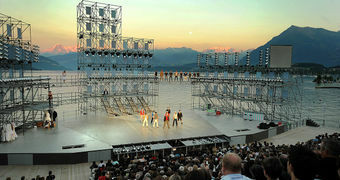 Once the sport of shepherds and herdsmen, it is now an integral part of the Swiss sports scene. The numerous competitions – such as those held at Kemmeriboden, considered to be the cradle of the sport – exude a unique atmosphere and attract very varied audiences. Any "boys" and "girls" who are interested in this sport can sign up for one of the introductory courses run by the Bern Cantonal Schwingen Association. No matter whether it is the almost forgotten Gramswürmleni (a pastry baked in fat and resembling a caterpillar), the Gumpesel (a raw sausage with a strong smoke flavour), the famous meringues or the Burrehamme – the culinary specialities on offer in the canton of Bern are just as varied as the landscape. If you would prefer not to sample these "alone", you can always do so in conjunction with an excursion. 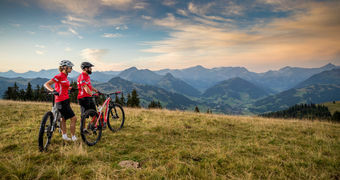 For example, you can visit the Emmental and follow the Kambly Experience tour while on an e-bike. Visit various producers along the way and end your tour at the Kambly factory in Trubschachen. Brienz might well be the world woodcarving capital, but it is in the picturesque Eggiwil that they really know how to conjure up a filigree Alphorn from a bulky log. The Bachmann family has one of Switzerland’s last remaining Alphorn workshops and each Friday and Saturday interested viewers may watch them at work. This is your chance to see how a lump of wood slowly assumes the form of one of these traditional instruments before being painstakingly hollowed out. Your patience pays off at the end when each spectator gets the chance to blow into the freshly-made Alphorn and marvel at the sonorous sound.